Pamela's maternal cousin Jeet was our guest in Bangalore for three nights from Calcutta. His purpose of this trip to meet his school and college mates as most of them are working in Bangalore IT sector. Jeet plays guitar and mouth organ as hobbies. His musical talent is in his gene , he got it from his mother who is a trained singer and used to perform in All India Radio in her young days. 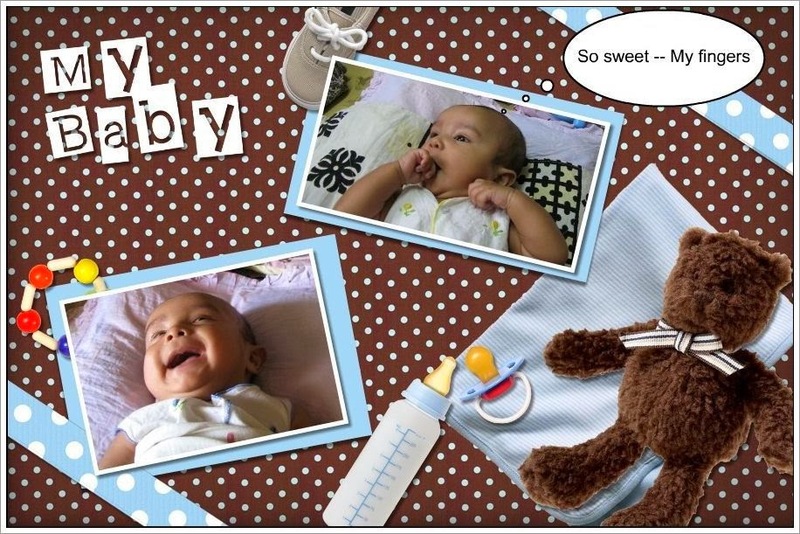 Well enough of introduction -- this was a very informal recording as we noticed Aarush was enjoying his first live music. Normally he turns his head towards speaker when we play some music to locate the source of sounds. But nothing comes close to a live performance a little one also realizes the same :D.
Get yourself a free copy of Zone Alarm Firewall completely free for one year. The offer is valid for one PC per e-mail id. The offer just started at 6AM PST and will be there for next 24 hours. So do not waste your time and rush to get a free copy. If you are not sure what Zone Alarm is and why you need one copy or a similar product for your PC I am sure there are zillion of web pages to guide you. Our old faithful I-pod’s battery died last year; nothing to complain about the same. We have used it enough and did not have any complain. Only thing that happened is the battery started to loose charge more often and at the end it stopped charging altogether. Just after I got this I-Pod, Apple had to settle a lawsuit for low quality batteries. That way I must say I am happy to survive for 3 years with one battery. 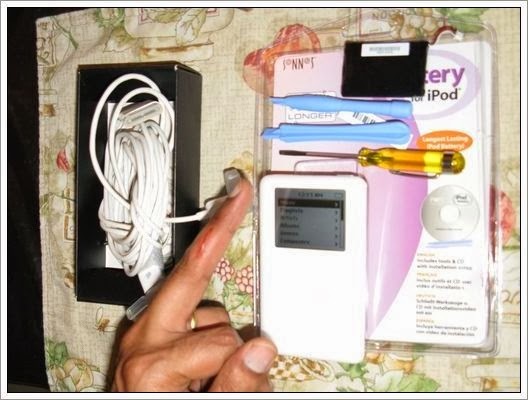 I was not looking at spending 4,000 INR (100 USD) to replace the battery by Apple. The thing I do not like about this program is - Apple does not return your own I-Pod rather they give you a similar one from their stock. So I opted for changing the battery myself. It cost only 20 USD to get the new battery and after spending 15 minutes I was able to hit the road again. The kit contains two plastic openers without which opening the case is almost impossible. The demo video included in the kit is informative; if they had shown how to create the first opening in slow motion and in closeup it would have been much better. As this was my first time I cut my finger with one of those plastic hinge openers. You really need to be careful with these tools. I had to use a small metal screwdriver to widen the gap between front and back case. After opening the case, removing the hard-drive and replacing the battery was very easy for me. I was very careful to make sure all connections were correct particularly for hard-drive and docking station. I did not have to open the case again as all the connections were perfect. Whatz FRESH about Reliance Fresh ? As we are new to Bangalore trying to explore all nearby hypermarket, supermarket and open markets as we settle in. This is also giving us as chance to explore places around. The first one we tried and explored was BIG-BAZAR on Old Madras road. 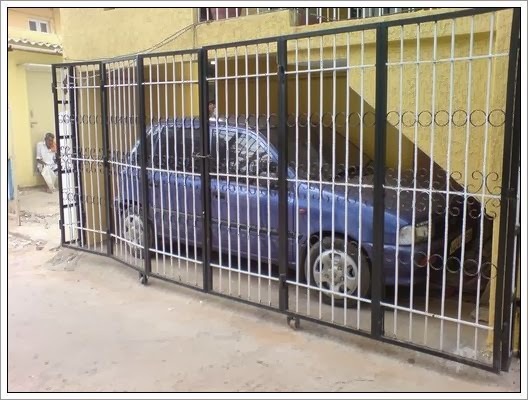 As it is just near to one of our office address in Bangalore I knew how to reach there without being lost. Then weekend after we tried SPAR at Kormongala followed by Nilgiris. Hypermarket Spar is having veggies like asparagus, lettuce leaves, endive which are rarley seen. Other then that one can find chesse like brie, blue cheese, parmesan, ricotta, emmental, gouda, feta etc. In between we have ventured many small to medium scale stores like More, SMART and others. There was no particular pattern. While going towards Sarjapur junction on Outer Ring Road we saw sign of Reliance Fresh; last night decided to check it out. To our horror we were welcomed by stinking smell; yes it was the only thing out there. The floor was very untidy, every thing was falling from the shelves, nothing organized at all, with stale veggies. Top of it, store people were not at all bothered, nor very friendly to customers. To our observations Nilgiris is very neat and tidy, well organized and managed while Big-Bazar with its vastness and madness of crowd keeps the show running although one might have to spend few hrs in queue at cash-counter mainly on week-ends. Your comments are most welcome to share your views on super markets. This is second post related to super-markets in India what is your take. I was asked to reallocate to Bangalore in early May from my work; as usual had no plan till the last minute. Sitting in Durg (center of India) was thinking what will be best way to reach Bangalore on Monday via Mumbai. I have to reach Mumbai to pick my bare essential before heading south. And my flight from Durg was on Saturday noon. On Friday night suddenly realized it would be great if I can travel in my own car. This way I do not have to find a cheap air ticket and will have no problem in commuting of my own @ Bangalore. This will allow me to escape THE FAMOUS AUTO RICKSHAWS of Bangalore. There are plenty of horror stories about them and you can always have a good laugh about the way they refuse their passengers. They are very mystic in their behaviour, there are few honest hardworking but that only proves Darwin's rule– There are always an exception. Certainly, this post is not about them . After lots of fanatic calls to friends and family members I was very fortunate to have Ramesh as my driver. He is a very experienced driver but he does not drive any more. The plan was simple- To start early morning for Bangalore on Sunday. We will stop as night falls and will reach Bangalore on Monday. 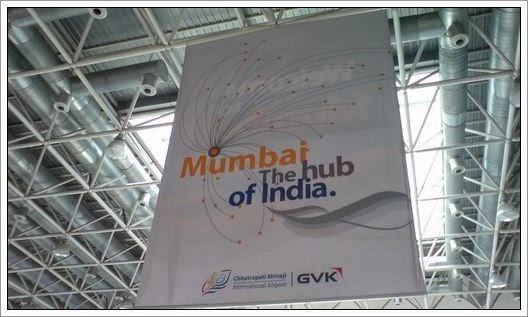 I reached Navi-Mumbai around 9PM after spending afternoon and evening at south and central Mumbai. As soon as I reached home I had to complete a long list of house-hold chores starting with laundry. As soon as the drum started spinning I started collecting items those I will require during my stay there. I picked items quite randomly but only thing I had in my mind was about a survival kit. After doing all that I tried to sleep at 2 in the morning but after a restless hour I got up and stared to wrap as many loose ends I could before leaving. Here is a chronicle of events that I had on that Sunday. 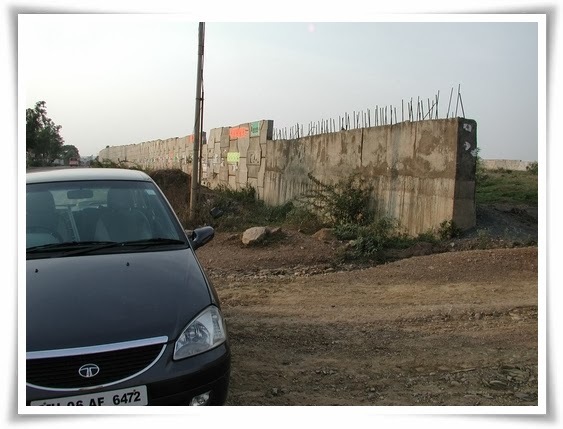 06:00 Picked up Ramesh from Nerul Railway Station – Returned to Kharghar ; packed all items in the car. 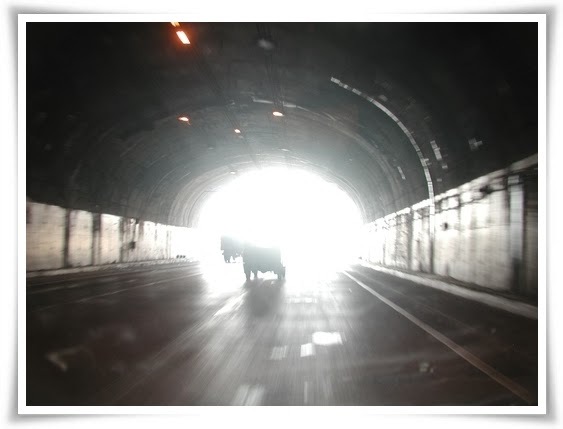 06:45 Started from Home; the express was well paved and it has concrete construction with numerous tunnels. This is the pioneer road corridor which was constructed with divider and proper lane in India. 041 KM 08:15 Started from Food Mall /Diesel stop around 40 minutes. There were lots of car, SUVs and buses packed with families who were going out of Mumbai as schools were closed for summer vacations. Hardly any room left for seating. Food was not great but every thing tastes good on road-trip when you have a hungry stomach and miles to go. The service was very prompt that really deserve appreciation. 09:00 Pune We by-pass capital of Maratha culture; there were plenty of new big IT, BPO offices with glass outer wall but as they were spread on NH4 without any symmetry in between they were more of eye-sore rather than architectural beauty. 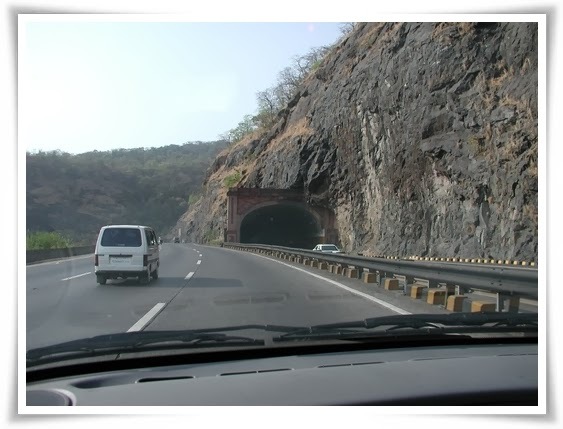 09:40 We picked up a FM station from Pune and it continued a long road. Very soon we reached another toll plaza and started our ascent for Satara Range. There are two separate roads for opposite direction. After lot of twist and turn you reach the point from where you get a great view. It was pity we could not stop to enjoy the beauty from there. 11:10 Crossing Satara which means a place surrounded by seven (sat) hills (tara). One thing we had to pay extra attention was there are plenty of crossroads in the highway which allows people to take turn and cross the highway from other side. Ideally there should be flyover but as we pass rural area the extra cost may not be justified yet due to thin traffic. 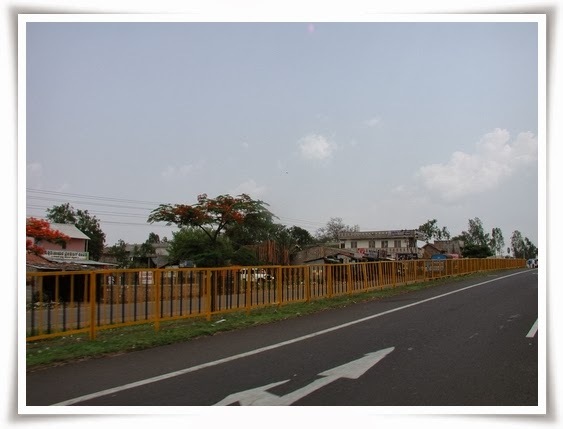 But thankfully NHAI has put up fence to avoid crossing road everywhere. It is very common in India for cattle and human to cross road whenever and wherever they want which causes lots of accidents. 12:00 Crossing Karad, a small town but quite good infrastructure with over bridges. At this point of time we have crossed Krishna river few times. The road divider were properly maintained with lot of Bougainvillea planted. It gave a very good feeling on Indian road which is sometime synonyms with pot-holes. 397KM 13:25 – 14:05 Stop for lunch near Kolapur, Kolpar is the last major town in the Maharashtra side of NH4 and soon we will start crossing border of Karnataka. Lunch was a simple vegetarian a quick one as we were not very certain how much road we will be able to cover today - Bangalore lies in the southern part of Karnataka. 14:43 We entered Karnataka it started to rain a little bit of drizzling around Belgaum. The soil color changed to red. Suddenly we found that we have to drive for almost 5 KM on the NH-4 north with opposing traffic as South bound was closed due to a big trailer made a major accident. 493 KM 15:17 almost halfway. 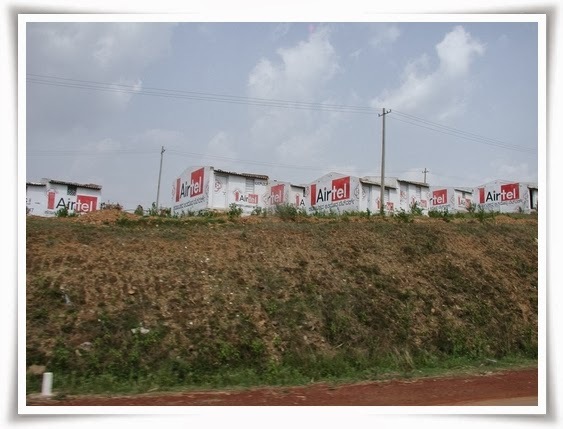 There are some hamlets of houses which are painted by Airtel, TATA, Reliance for their mobile phone advertisement or sometime it was cement and steel companies. 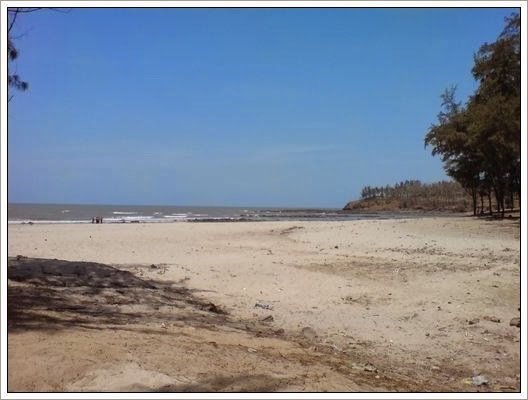 15:49 We cross a sign for Karwar (next to Goa going west) neat Dharwar but road was single lane. Saw a horrible accident involving a TATA –indica and a truck and there was ambulance. Hope the best for those in that car as it looked very terrible. 560 KM 16:17 Back to divided road. We crossed a huge Jain temple which from distance was looking like some space station where rockets were ready for launching. After searching in internet realized there are too many Jain pilgrimage palce in Karnataka which I did not knew. 599 KM We were looking for fuel station for last 15 minutes but there was none on our side of the road; finally we found one and filled diesel ; we had fuel economy of 19.05 KM/L with AC on the highway. We crossed one flight of stairs in the highway but could not figure between ourselvs which will be nearest airport for this. Wanted to have tea-break but "miles to go before I sleep"
636 KM Again single lane, road condition very bad, found almost finished yet un-finished flyover while we maneuver the bad traffic- big trucks, SUVs just trying to cross everyone by hook or honk. This continued for a while we crossed a town called Ranibennur, it looked like Sunday was market-day as it was crowded with village merchandise. There was police in the middle of the road to manage traffic. The road condition did improve as we crossed Harihar at the sunset. It was very magnificent as Sun sets on the lush green paddy field on the banks of Tungabhadra river. 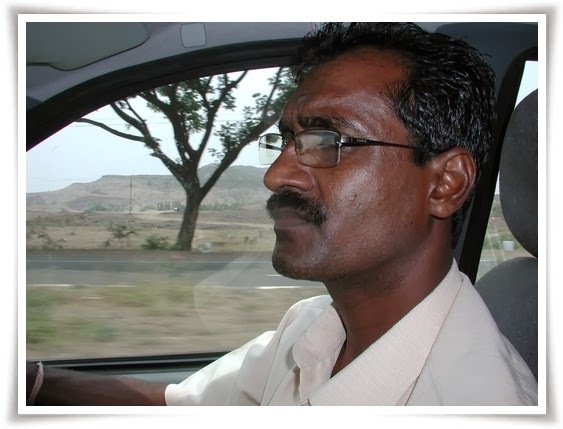 It became dark and Ramesh kept on driving. We decided to continue till we felt like. Driving till Chitradurga our estimated destination was around 70 Kms away. 765KM 20:30 We reached Chitradurga, according to our destination; called relative in Bangalore and was told the road should be better now and it might be a sensible to reach Bangalore same night. We had a big dinner and stopped for one hour before we stared again. This really helped to stretch our strained body. 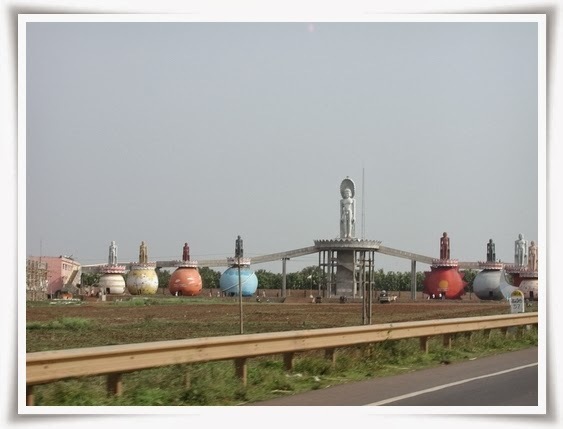 It seems there are road side hotels around 40 KM out of Bangalore A1( from Reliance group) and Kamat to choose from. The initial part of the road was very bad and there were so many trucks. It was dusty and we had to be very careful with all these big vehicles; lots of them even do not have rear light or brake light. After Dinner - I was feeling too sleepy and after all my best effort I dozed off for few minutes. I asked Ramesh few times if he is OK to drive or is it better to park on side and take a small nap. As an excellent driver he kept on driving without any problem. Around Tumkur, we found hotel but as we were there they closed as its mid-night and they closes at 23:30. So there was not much choice for us other than to continue driving. Blackberry came very handy as I looked up phone number of my service apartment which was booked from Monday onwards. They gave their best direction but for us it really did not mean much. 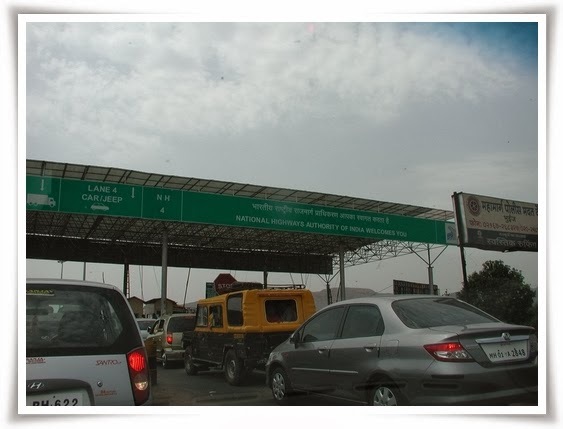 There was one part of highway which was newly paved with proper marking and division so a toll plaza followed. It was great to reach such a wonderful place. We found ourselves in two bedroom apartment; I took a quick shower before calling it a night. In the morning we woke up quickly, dropped Ramesh to bus stop where I got him ticket in Volvo for Mumbai. And I went to office – and thus life in Bangalore started. Lesson learnt from this 1000KM trip ---Keep your wallet ready to pay the toll. In India, government is the biggest “Bhaia” or “Don” they know all the tricks to tax their law-abiding citizen. When the road condition is good be prepared for toll after every 40/60 KM. Keep change ready or you will get toffees as change in return. Not sure why NHAI kept those odd numbers like 18, 23 or 22 instead rounding it to 20 or 25. 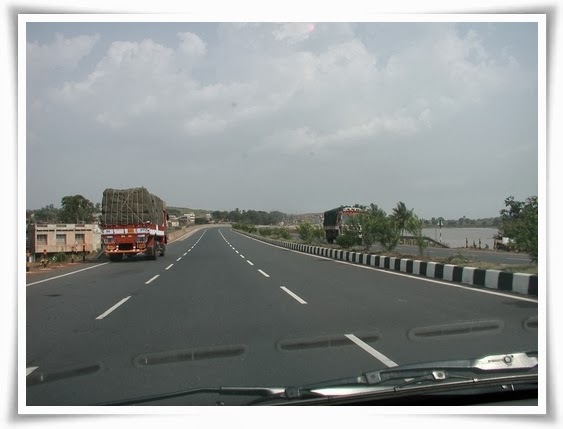 Definitely there are lots to improve for NHAI if they want to put Indian road to world standard. Just upgraded to Wordpress 2.6 for both blog.santm.com and pamela.santm.com without any hitch :) Upgraded few plugins as well and so far so good. This post is going to be a quick one, need to write and publish in next 8 minutes time I have from my grueling schedule. Just to let you know we (this time Aarush & Pamela accompanied me) reached safely after traveling from west to central-part to east and then to south of India . The details of long travel will require several small posts but with Aarush, new apartment and work do not think we will be left with ample time to write those. Looking forward to meet all the Bangalore acquaintances soon. This question really sounds absurd to start a decent discussion on reading. I am not a writer nor pose to have any writing skill but I like to read. It is said the type of books you read generally depends on your attitude and personality. I believe reading as a habit has always allowed to nurture a wholesome sense of well being. But most of us read books to lull ourselves to sleep. I read any thing that I can grab and not picky about subject or writer. Once I like a new writer; try to read his other work as well. In last 5-6 years can only think of two books that I started but couldn’t finish – ‘Satanic Verses’ and ’The Argumentative Indian’. This makes me wonder am I a good reader or not? Normally, I do not try to review books as I read for pleasure and have a good time. Though these books are well known, well read and sold million of copies I wonder is it wrong with me or with these books? The journey of reading book takes back to memory lane - we (me and my brother) were hooked to reading from very early age as we grew reading books. Special thanks goes to my Mom for inculcating this habit in us. Switching from a totally pictured short comic to a immensely boring book of at least a hundred pages, with no images or diagrams was not easy though so I don’t blame any kid who would frown at the idea. But there were others too who really appreciated this habit of ours and gifted us wonderful books as we grew. We were considered as book worms; we even saved money that we got from our elders to buy firecrackers at the time of Diwali. As for us the philosophy was simple – book lasts longer than a firecracker and you can always re-read books. We still have those well preserved collections to re-read. Now a days, with too much stress in work place many of us miss out on reading in this very manner and sadly it is only in times of grief, loneliness or insomnia that we seek refuge in reading some stuff. I read many writings of Mr. Rushdie and really liked them a lot. ‘Haroun and the Sea of Stories’ is my favorite; just found out it got published after his most controversial work. I was in adolescent when ‘Satanic Verses’ got banned and always wanted to find out what was out there - a forbidden passion. So while in US I tried to borrow it twice from public library - got bored and could not follow the story after few chapters. I still wonder who are those who might have read, realized the content before banning the book? Did they just ban the book based on its name, who knows its a long history now. Now coming back to ‘The Argumentative Indian’, a collection of published works by Mr. Sen during his long career and research. Though there are excellent foot note and reference in page I could not agree with writer about his view on recent India. Besides this, there were so many words which require frequent referring to a good English dictionary. May be being a young Indian I see India from a different lens. Being in India I find his view on recent history of India to be unaccurate and one sided. To me his references are very academic in nature and away from ground reality; also his views are squinted for recent political history. Without doubt he poses to have vast knowledge about Indian history, culture and I am no one to make any comment on it. To sum-up, this two books failed to keep me glued to finish it. May be one day I will try to finish them and will re-read… till then happy reading.